Glover was born and raised in Ireland and is domiciled in the US. He uses these experiences to power the sense of belonging or not, the rootlessness, the mixture of feelings that surround the transplanted. He does this via six traditional and four original songs, again posing another type of schism, the two sets of halves reconciled in mid-Atlantic. The songs are trying to balance the traditions of Irish folk music with the idioms of Nashville Country. ‘Heart in My Hand’ written with Mary Gauthier uses the reeling fiddle to give it that wind-blown Irish sheen, whereas at the heart of the song beats Nashville. ‘A Song of Home’ has, as you might expect, the warmth of nostalgia for what is left behind, along with an arrangement that is sensitive and subtle, the kind of music that makes the intricate sound simple and straightforward. Glover seems more at home with his own compositions than on some of the traditional songs, although ‘Moonshiner’ or ‘And the Band Played Waltzing Matilda’ don’t really offer anything new, nor are they definitive, or especially true to their origins. He can sound too earnest (‘The Green Grass of Antrim’) as though he is remembering through song rather than via experience. 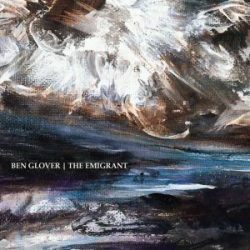 If this record has served to reconcile Glover’s thoughts about his identity and his sense of belonging, then it may free him to concentrate on what he does best: writing his own songs.